Become the ultimate Master Assassin and join forces with up to three friends on the most advanced multiplayer network. Xbox One is the only place to play the best exclusives and all the biggest blockbusters of the year, and brings together games, live TV, and your favorite entertainment apps. 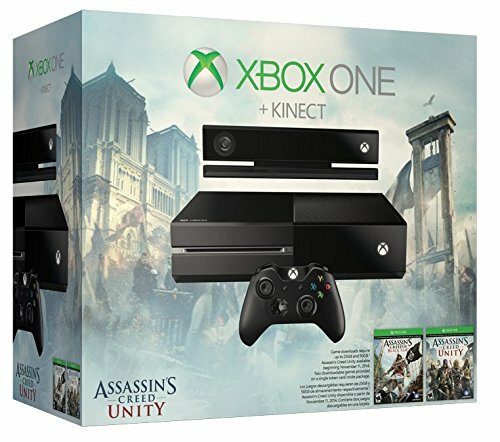 Own Assassins Creed Unity, Assassins Creed IV Black Flag, and Xbox One with Kinect.